And the countdown for one of the most awaited magazine covers finally begins! 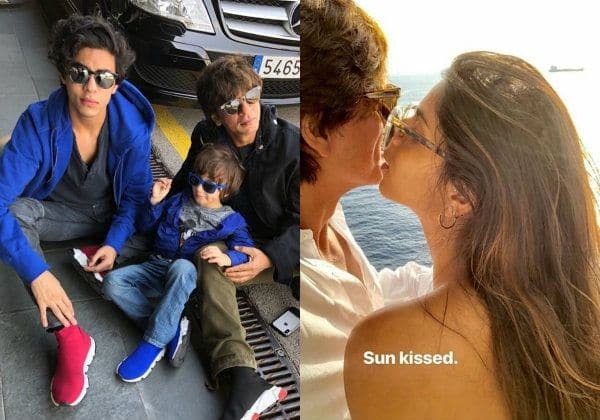 It was in March this year when Gauri Khan had let out the big surprise of Suhana Khan secretly shooting for a magazine cover. She had mentioned about it at the Hello Hall Of Fame Awards stating, “Suhana is shooting for a magazine. I don’t want to reveal the name but that’s the most exciting thing I am looking forward to this year.” While until yesterday, nobody really knew which magazine was Gauri referring to and will it be a solo mag cover featuring Suhana or will she be joined by someone. We finally have ALL the details, exclusively for you. Just like Janhvi Kapoor, Suhana too will be starting off her journey into the glam-world by being the face of the much celebrated Vogue magazine. She will be gracing the August issue and from what we hear, the cover looks exceptionally stunning with Suhana posing like a million bucks. We wouldn’t be surprised if there’s also a film announcement on the cards, soon after her magazine debut. Probably, not this year but maybe in the next year. Or even better, if we get to read Suhana’s first ever interview in Vogue, now that she’s on the cover. Now that would be something to look forward to, isn’t it? Well, keep your anticipations high because this one is sure to be worth the wait. Suhana is currently on her family vacay in Barcelona with Shah Rukh Khan, Gauri Khan, Aryan and AbRam Khan. If you haven’t checked out her picture as yet then here, check it out below.